The 46th Iditarod kicked off on March 2, 2019 in Anchorage, Alaska. The dog sled race is almost 1,000 miles. So, as you can imagine, mushers and their teams of dogs prepare for months leading up to “The Last Great Race.” The teams go on countless training runs, monitor the dogs’ health, gather supplies and pack their sleds with all the appropriate items. Iditarod is often accused of cruelty toward the dogs who compete in the race. 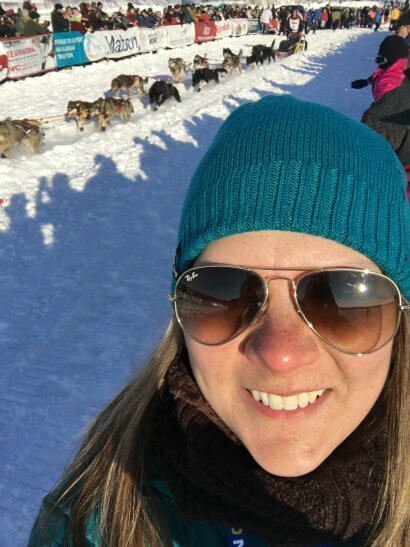 However, having seen firsthand how much the mushers care for their dogs and how comprehensive the medical evaluation process is, I wanted to share my experience. This year, I was one of many volunteer Veterinary Technicians who traveled to Alaska during the month of February. Volunteer Vet Techs assist with the pre-race bloodwork and ECG (electrocardiogram) program. Ensuring that each canine athlete is physically fit and healthy to run is one of the most important (if not THE most important) part of training and preparation. 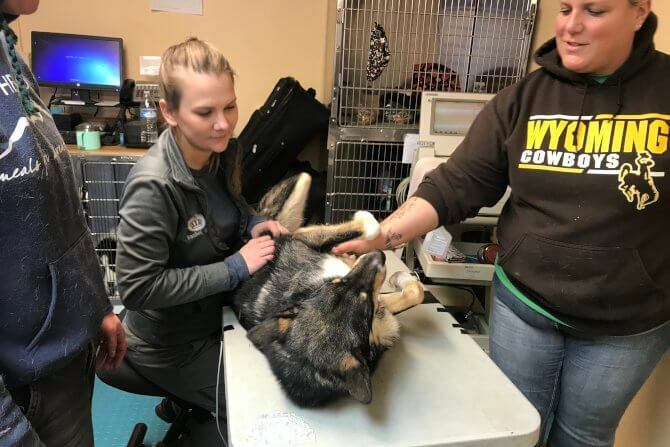 Each and every musher, along with the veterinary staff, pays close attention to the health and welfare of each sled dog, following a thorough medical evaluation program. Within 30 days of the race, each dog undergoes extensive veterinary screening. These tests help determine which dogs are the most physically fit. Mushers are allowed to bring up to 24 dogs, though only 12 to 16 will actually compete on each team. Veterinary staff examines around 90 dogs every day. This year, there ended up being 52 competing teams after a few backed out. Initially, the veterinary staff scans the dog for a microchip, a requirement for all competing animals. Therefore, if a dog does not have a microchip, a vet implants one. We then record the dog’s name and microchip number. This helps to efficiently keep track of ongoing medical evaluations such as ECG and bloodwork. Next, we collect blood samples via vacutainer and send them off for assessment. Bloodwork results may indicate infection (high white blood cell count), abnormal liver values or kidney values. 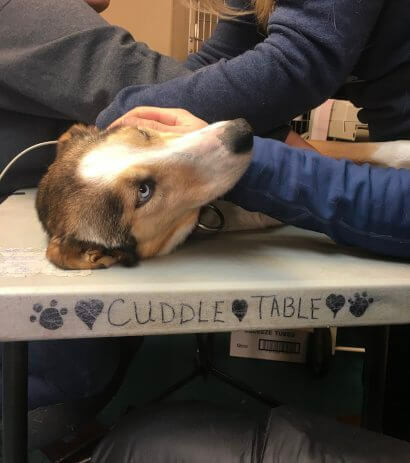 Once the dog’s blood has been drawn, and sufficient cuddles have been given, the dog moves over to the ECG table. A vet tech lays the dog on his or her right side. The musher sits at his head, petting and talking to him and, overall, making her feel more at ease. The ECGs must also be sent out for assessment. Sled dogs are so physically fit, and considerably more athletic than many of our dogs at home. So, it is not uncommon for them to have a resting heart rate in the low 60’s. For reference, resting heart rates range from 60 to 140 beats per minute in dogs. These dogs aren’t all business, though! Many of the dogs didn’t want to get off the table because they weren’t quite finished getting belly rubs and ear scratches. And we weren’t always ready to let them go either. The bloodwork and ECG results help mushers choose the dogs that are the healthiest and most excited to race. Sometimes, the bloodwork or ECG indicates that it is not within a dog’s best interest to compete. Any way you look at it, the only dogs that compete are deemed fit enough to complete the journey at a competitive pace. Further, there are 23 checkpoints between the starting and finish lines. The checkpoints provide medical attention, rest, food, water and whatever else is needed. Not until the dogs are taken care of will the musher attend to his or herself. Great lengths are taken to ensure that all dogs who try out and/or compete in Iditarod are happy, healthy and safe. In fact, the health of these dogs is the number one priority of both the Iditarod and the mushers who compete. Everyone I worked with and met showed enormous respect and compassion for the dogs. As an animal lover, I am proud and honored to have been a part of Iditarod and hope to return again to offer my medical services…and, of course, many more cuddles. Rachel Gallegos is a veterinary technician in CARE’s surgery service.